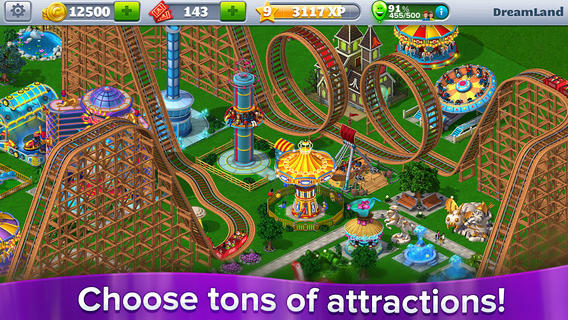 RollerCoaster Tycoon 4 Mobile : On5. We make mobile games. Based on the beloved RollerCoaster Tycoon® franchise, RollerCoaster Tycoon® 4 Mobile™ is now available on your iPhone, iPad and iPod touch! Create and share the amusement park of your dreams and construct incredible roller coasters and rides to keep your visitors happy. Create the best park, unlock new materials, and exchange coaster blueprints with friends online to become the ultimate RollerCoaster Tycoon®! Over 50 different attractions, restaurants, concession stands, hotels and decorations. 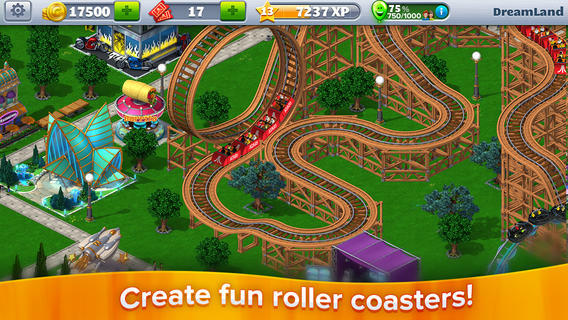 Unlock new materials to construct cooler, faster and taller coasters. 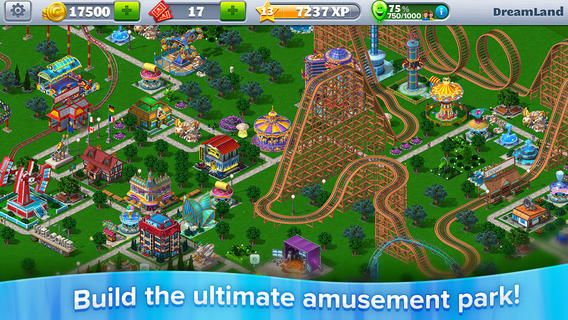 Grow your economy by creating the ultimate amusement park. 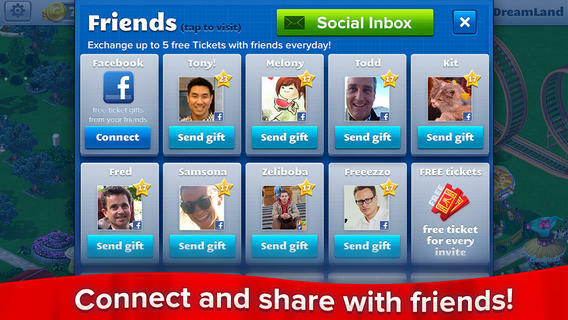 Connect with friends on Facebook and Game Center. Top the Game Center leaderboards online. Game is pre-loaded with over $5.00 of in-game currency.